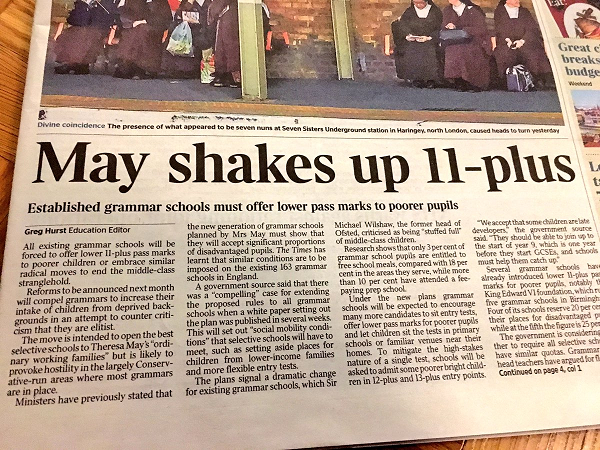 LKMco Director Loic Menzies joined Beverley Turner on LBC radio to discuss Theresa May’s plans to compel Grammar Schools to offer a lower 11+ pass rate for poorer pupils. 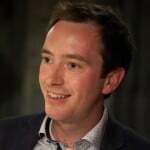 Drawing on the arguments made in his 2016 blog “Grammars for the Bright but Poor“, Loic argued that tinkering around with a bad policy won’t turn it into a good one and that May and her advisors would do better to abandon their plans completely. By definition most pupils are academically average or near average and this is not a policy for them, it is for a small high achieving elite. The evidence is clear that most will suffer and this change won’t make any difference to that. It continues to prioritise the ‘bright but poor’, for some reason assuming that these pupils are more deserving and special than their poor (or poorer) but less bright peers who will suffer as a result (as Laura McInerney argues here). Poverty is not binary and neither is educational attainment. A single cut-off point means that those who are near the pass mark, from the highest achieving ethnic groups or ‘only just’ poor will benefit most whilst those who are most disadvantaged – perhaps because of Special Needs or profound poverty, will suffer most. Our education system is complicated enough already, this policy will complicate it further. Who will count as poor and how will we avoid people gaming that? He argues that what parents really want is a great local school and this policy will do nothing to help that.